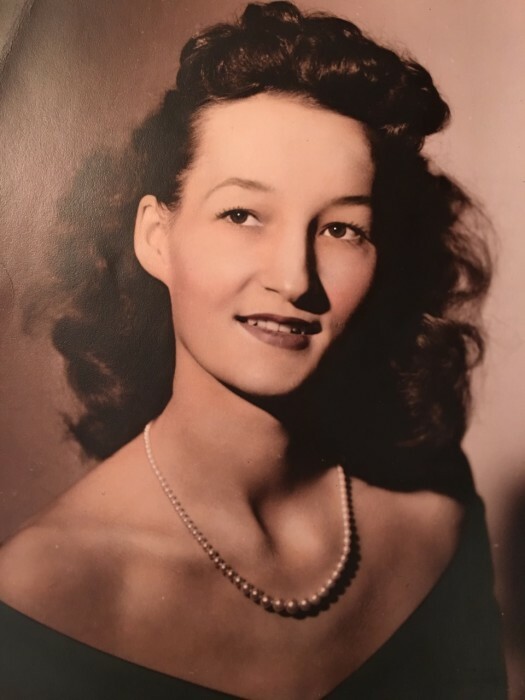 Vonno "Bonnie" Parr, 90, of Salisbury was called home by the Lord unexpectedly but peacefully, Saturday, September 8th, 2018 at The Laurels of Salisbury. Born March 22, 1928 in Charlotte, Bonnie was the most giving woman who loved the Lord with all her heart. Following her retirement from Kmart, Bonnie spent the rest of her days playing Bingo, watching NASCAR, and bringing smiles to everyone she came in contact with. She was the youngest and last living of her siblings, preceded in death by 3 brothers and 1 sister (Homer, Bob, Tom & Jean), son Danny Parr and dear niece Phyllis Eudy. Survivors include her son Thomas W. Parr and wife Jo Ann, nieces and nephews: T.W. Dunning, Dee Wilson, Dean Payne, Melodie Pugh, Larry Payne, Bobby Daniel along with grand-children, great grand-children, and very special extended family who she loved dearly. Visitation: 2:00-3:00 PM Sunday, September 23, 2018 at 523 S. Main Street, Salisbury, NC 28144. Memorials: In Lieu of flowers please make a donation to Charlotte Rescue Mission, PO Box 33000 Charlotte NC, 28233 or www.CharlotteRescueMission.org.